Nickelodeon has moved the series finale of iCarly up by one day, to Friday, November 23rd at 8pm. The farewell episode, titled “iGoodbye,” will be one hour long and are considered the 108th and 109th installments of the series. The cable channel will now unveil the new comedy called Marvin, Marvin on Saturday, November 24th at 8:30pm. The Lucas Cruikshank series will follow a new episode of now-cancelled Victorious. Marvin, Marvin follows the misadventures of Marvin, an alien teen who lives with a human family while trying to learn to adapt to life on Earth. Cruikshank is an Internet comedian best known for playing the popular YouTube character Fred. What do you think? Will you be tuning in to the final episode of iCarly? How about the first episode of Marvin, Marvin? 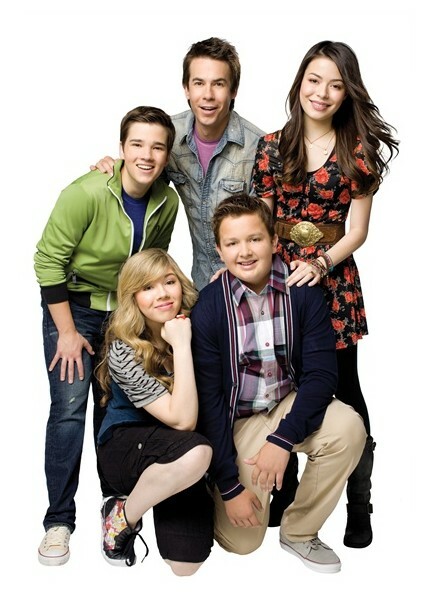 More about: iCarly, iCarly: canceled or renewed?, Marvin Marvin, Marvin Marvin: canceled or renewed? i cant wait for the icarly final i bet its gonna be awesome but why is it going i have loved to see the cast members of icarly grow older and older by episode. i thank who over created icarly as it has been one of my favorite shows of all time. its my dream to act and sing with the cast and id do anything for a chance! i love singing and im always annoying my parents singing and icarly really gave me inspration! 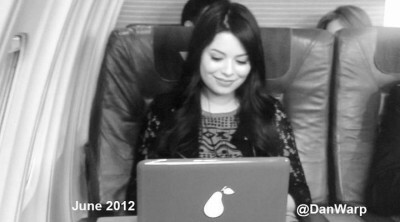 Thankyou guys of icarly! I WILL MISS ALL OF THE CAST OF I CARLY BECAUSE THERE IS ONE OF MY FAVORATE EPIDSODES OF I CARLY WHICH WHEN SAM IS KISSING FREDDY ON HIS BALCONY AND THERE IS ANOTHER ONE THAT I REALLY LIKE IT IS WITH VICTORIOUS JUSTICE AND THERE ALSO ANOTHER EPIDSODE THAT I LIKE IT IS WHEN SPENCER IS PLAYING THE ARCADE GAME AGAINST VICTORIOUS JUSTICE. I don’t want icarly to end, but what can I see say it’s time for Icarly to move on and soon Victorious will move on too, because there gonna be canceled too. Gonna miss both shows. what shows im going to watch the reason why i watch nickelodeon is because of victorious and icarly thats it.like i said this show must go on until episodes of 145 or less whatever you want anyways im glad for the new series marvin. i dont want to see the icarly finale wrong time to do it wait until next year.my thinking you know its perfect run of icarly goes from 2007-2013. just one more run of Icarly just one more run of it.nine episodes is not enough for a season. nickelodeon will loose a lot of rattings if icarly get cancelled if i were you nickelodeon i let icarly keep going until mid of next year that 2013.since late of july ive been complaining and worrying about it.one last thing whoever is cancelling this show change your mind because i can help you make more episodes of icarly until 135 episodes or 140 please for me and the fans who are watching and thank you. i dont want this to end please no lets icarly from 2007-2013 wow thats a great idea. now thats a smart move for nickelodeon. I am SOOOOOO excited to see Marvin, Marvin. I’ve heard it absolutely hilarious!! !